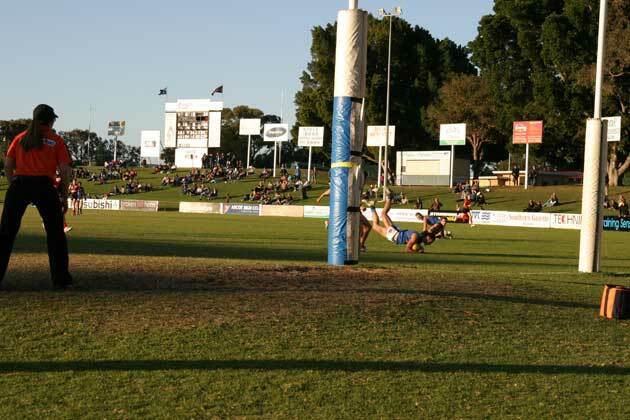 THE first thing that struck me about the scoreboard at Lathlain Park was how quick it was. I called in at half time to find husband and wife team Ray and Evelyn, who have been doing the job for only a couple of years but have a slick combination going. Evelyn said that when she heard about the need for a new scoreboard attendant she dobbed Ray in. 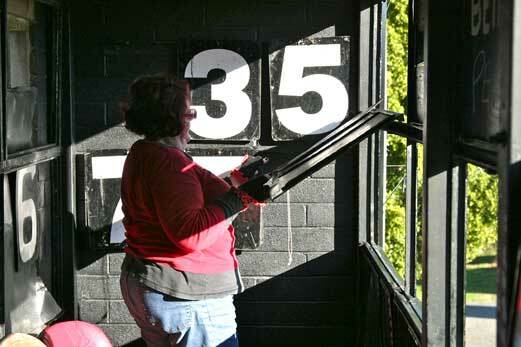 Now the couple work the board from nine to five every time the Demons play at home – displaying the scores for the colts, reserves and league. 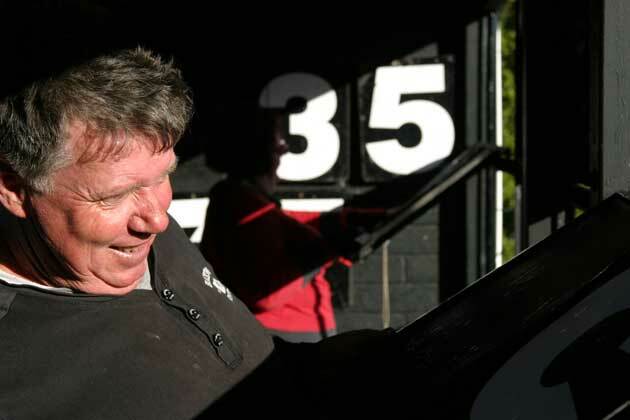 The numbers slide into position at Lathlain so Roy always brings along his tool kit so he can straighten out any numbers that have been damaged by vandals or water between games. Roy and Evelyn are volunteers. “We love it,” Evelyn explained simply. 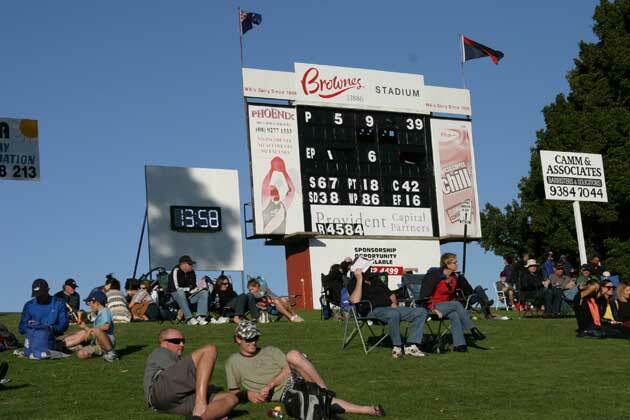 Perth moved to Lathlain Park in 1959 after having the WACA as their home from 1899. 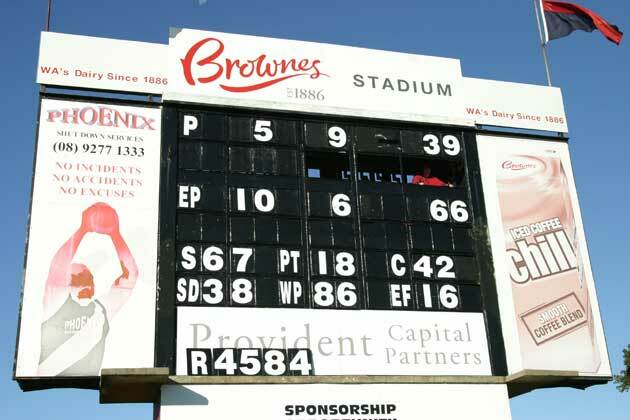 The current scoreboard has been around for about 50 years, the footings from the old wooden board hold up an advertising sign right next to it. The Demons won their last premiership in 1977 and last played in the finals in 1997. Ray and Evelyn did a great job there.operating the old girl. 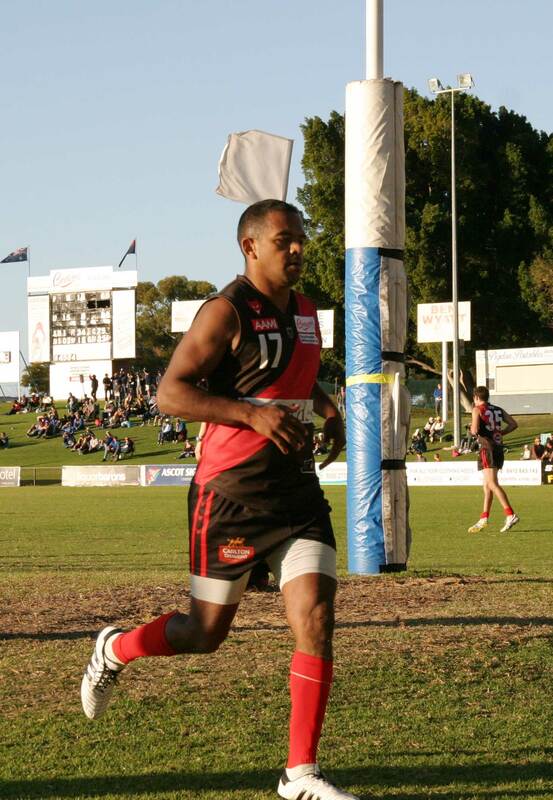 Shame that the Perth Football Club were oblivious to it.